Geez, it’s Friday already. I swear it should only be Wednesday. Oh, and by the way, its APRIL. When did this happen?! I’ve been busy with work and getting the second annual Columbus Design Weeks website set up, and in the meantime weeks flew by and months changed. shoot. Don’t worry, I’ll be sharing it on here soon, we’re still getting a few kinks worked out and then we’ll be full-blown ready to share the awesomeness with everyone! What’s everyone up to this weekend? I have yet to figure it out since I’m just now realizing it’s already here! Whatever you are up to, enjoy it and happy, happy Friday. 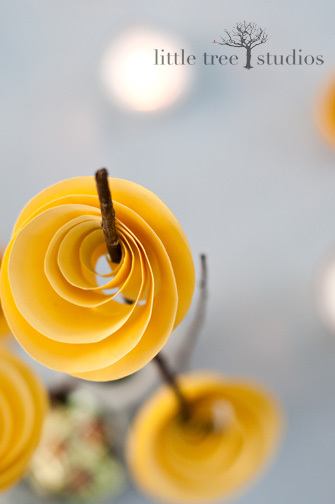 This reminds me of a friend’s wedding.. beautiful paper flower / twig centerpieces..
Those are beautiful! I think paper flowers at weddings are so cool. Thanks, Sarah!